A US-based engineering and consulting firm, Black & Veatch has issued an optimistic outlook for liquified natural gas exports from both Canada and the United States. Looking at the the number of LNG export licenses issued to projects “that are likely to proceed,” Black & Veatch raised its forecast for LNG exports by 2020 from the U.S. and Canada to 10 to 14 billion cubic feet per day (Bcf/d). The report mainly concerns the United States, where the race for LNG exports is as fierce as it is in Canada. The report was based on experts surveyed by the company. Respondents were asked to select their expectation of the volume of natural gas that will be exported from the United States and Canada as LNG by 2020. Nearly 37 percent of respondents said they believed exports would total more than 6 Bcf/d by 2020. In 2013, less than 25 percent of respondents expected exports at this level. In 2014, 60 percent of respondents said they expected LNG exports to be less than 10 Bcf/d by 2020. Less than 7 percent of respondents put the figure at more than 10 Bcf/d. Poduval said that as less expensive U.S. gas becomes more viable, Asian buyers are increasingly pushing back on higher cost supplies from their suppliers in Asia, Australia and the Middle East, Poduval said. 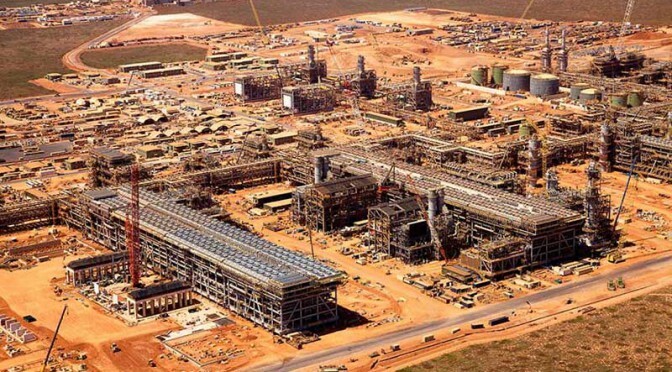 This pushback is stalling some of the more expensive LNG projects in Canada, Australia and East Africa, with Asian buyers holding back on long-term purchase commitments from these projects in pursuit of more favorable price terms… One of the dangers for U.S. LNG exports continues to be that they could shrink the very price spread that makes them attractive. Poduval said the first trains at Sabine Pass in Louisiana are expected to go online starting in the fourth quarter of 2015. Poduval noted the announcement of the 30-year $400 billion agreement for Russia to supply natural gas to China via a new pipeline was considered by some as the “Holy Grail” of international natural gas agreements following stalemated negotiations for more than 10 years between the two countries. The deal could provide much-needed market diversity for Russia, which exports 80 percent of its natural gas to an increasingly unfriendly Europe that is pursuing other sources of supply. In addition, Russia would potentially supplant some LNG demand from China by supplying about 3.5 Bcf/d of natural gas under this agreement. Her report also says that an Alaska LNG pipeline project that has been on and off for the past 30 years is now in a pre-FEED (Front End Engineering and Design) stage. If it goes ahead, the project, which would be the largest in North America, with a capital cost estimate of $45 billion to $65 billion, will bring gas from the North Slope along an 800-mile pipeline to south-central Alaska, where it will be liquefied for shipping to Asian markets. “But the marketplace continues to be subject to geopolitical events and regional economics,” Poduval said. 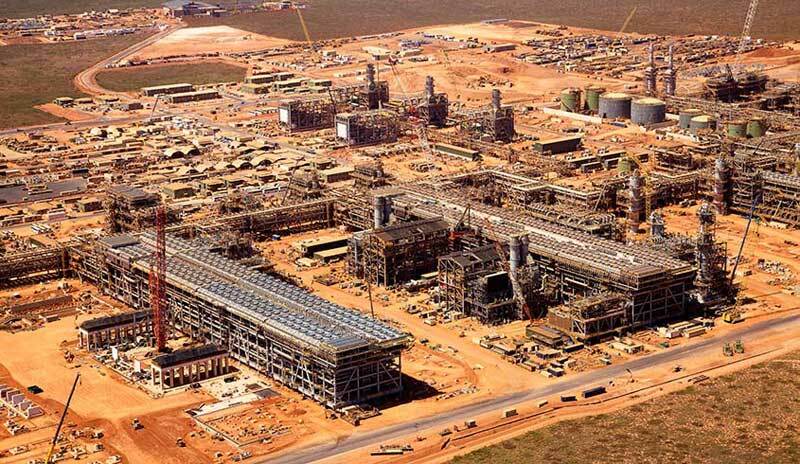 Royal Dutch Shell has finally ditched plans for a new $US20 billion-plus liquefied natural gas project in Queensland,making it the latest casualty of the oil price slump. Global chief executive Ben van Beurden said the proposed greenfield Arrow LNG project with PetroChina was “off the table”, while other ventures would be slowed as priority was given instead to Shell’s North American LNG projects. “We are prioiritising North America LNG options in that timeframe, LNG Canada and Elba,” he explained, referring to Shell’s LNG export projects in western Canada and the US state of Georgia. the timing for starting engineering and design had already been deferred by six months to mid-2015. While the Shell chief executive’s words place some uncertainty whether the oil major wants to proceed in that timeframe, the company has still listed Browse among final investment decision “choices” for the 2015-16 period. There are new owners for the Douglas Channel LNG project, according to this news release. The Douglas Channel project, which contemplates a floating LNG project at the old log sort half way between Kitimat harbour and the Chevron-led Kitimat LNG project at Bish Cove is a now partnership between EXMAR, “an independent Belgium-based company with 35 years’ experience in LNG shipping,” EDF Trading (“EDFT”) a subsidiary and wholesale market operator of Electricite de France S.A., an international energy company with over 39 million customers and AIJVLP, “a limited partnership between AltaGas Ltd. (“AltaGas”) and Idemitsu Kosan Co.,Ltd. (“Idemitsu”). Idemitsu is a Japan-based global leader in the supply of energy and petroleum. AltaGas is the parent company of Pacific Northern Gas which supplies consumers in Kitimat.